← ROL creations and Saturday sadness. I just noticed that yesterday my blog hit the 10,000 views mark!!! Now, we are officially over 10,000 hits since I first started blogging back in August. That is seriously unbelievable! I really can’t believe that there have been over 10,000 times people wanted to read about my life and my work. I find it amazing and quite flattering. Thank you to everyone who reads what I have to say. To show my gratitude, I plan on giving out a bunch of goodies from Red Oak Lines to one lucky reader. -Leave a comment to this post and let me know what you think of my blog by Jan 25th, 11:59pm. -If you have a blog, please let others know about the RAK giveaway. -If you have a blog, post your link. I want to make sure I visit yours as well. For last RAK’s winner, I randomly drew a number. The winner to this RAK is KelsyC. Please shoot me an email at redoaklines@gmail.com, so I can send out a package of goodies to you. For the ladybugs, I just cut them out and inked some of my fingerprints on their backs. I thought they turned out pretty cute. 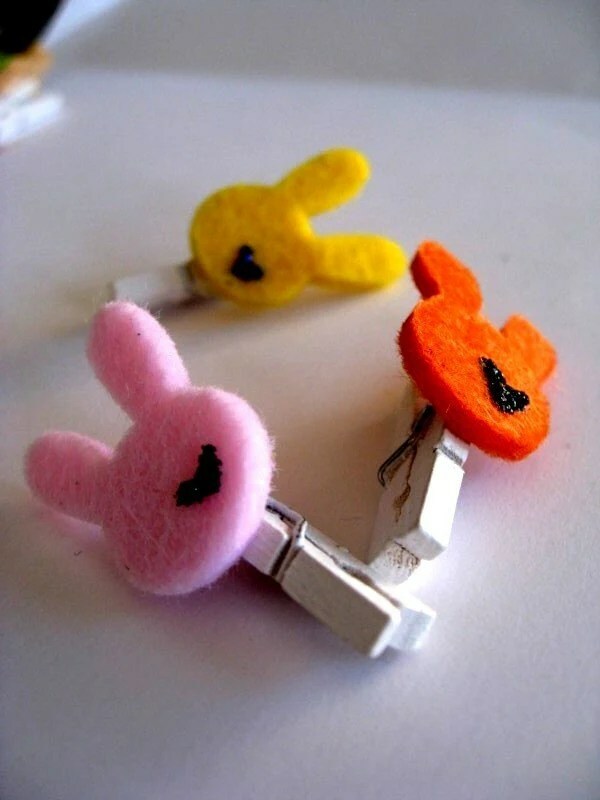 Mini Bunny Clothespin. These are great for Easter projects! Also, ROL is looking for a guest designer! Want to help a small online shop grow? We are looking for a few guest designers to join our wonderful girls over at Red Oak Lines. You will need to head on over to ROL Shop, and purchase an item or two. Unfortunately, we won’t be able to give out items right now because we are starting out as a small business. During the month you are designated to work on the design team, your work will be posted on our blog with a photo and short bio along with any links. Also, your work will be displayed in our ROL gallery. -2 other layouts (new or old) to show off your work. -Let us know why you want to work with ROL. If interested, please send all of the above to redoaklines@gmail.com. This is open to both US and international residents. If selected to be part of ROL, you will be notified in April. Your visit to ROL is much appreciated! congratulations!!! 🙂 I am so excited for you. Have a lovely day. I love the card. Hey who fixed your camera? How very exciting!! And I’m LOVING those new green flowers!! Too bad they weren’t in the shop yesterday when I ordered, hehe!! wow! thats a lot of hits!!! i love seeing your creativity coming out on your blog, i really enjoy you cupcake adventures and, most of all, i come here for maui…. enough for me…now what to get, hmmmm? I’m really excited about your new items in your etsy shop Sarah! I might have to stop by and pick up a couple things for my girlfriend, Phuong Tran. She loves to scrap. I might even try out as one of your guest scrappers. That would be so exciting. Totally loving those new items you just added today! 🙂 …and that card is soooooo cute! love the ladybugs and “Better Together” is definitely a great song to use on that challenge! It’s my first time visiting your blog, but I wanted to tell you that I think it’s so fun and bright. Your style is so unique. I’ll definitely be back later to check up! Hi Sarah! Wow! 10,000th hits?? Congrats! It’s no surprise really! I love reading your blog to see your works and to see what’s going on with you in your day-to-day. I will spread the word around for you yah? in the words of bb herself… Wo0oo0oT! here’s to another 1000000000000000000000000000 views! Congrats Sarah girl!!!! I’ll spread the word! Congrats Gal! I love the products you have created and that picture of the red ribbon is so apt for redoaks! hey sarah!! Congrats on the above 10,000th viewing!!! what a great accomplishment!!! Doesn’t that tell you how adorable and awesome your stuff is? 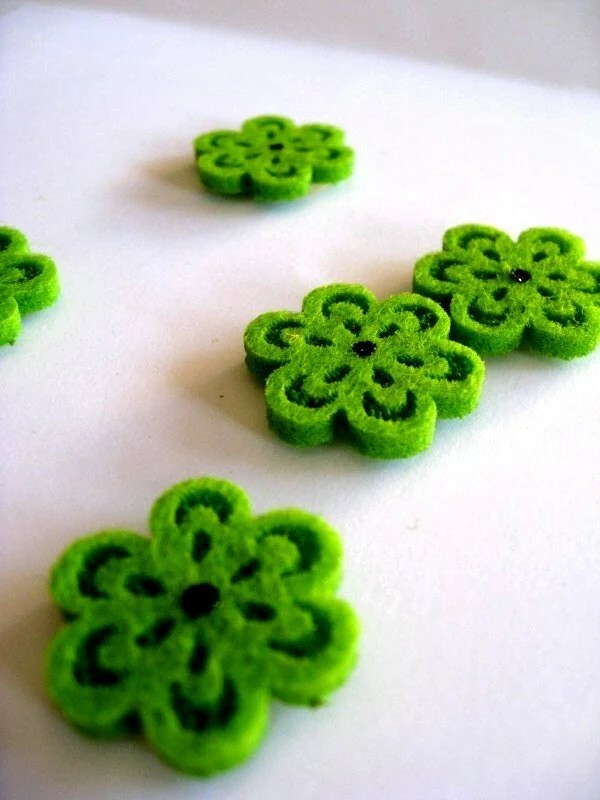 I’m loving the green flowers…very cute! those bunnies are too darling!!! I posted on my blog about your giveaway and about your GDT call. Hot damn! I never win anything and I’m having a crappy day so seeing that I won really cheered me up! Off to link your other RAK to my blog too! I love your products the are so lively and fun! I LOVE your blog!! Your creations are oustanding! I also love all of the pictures you post! I feel like I know you. 🙂 I’ve posted your blog on my blog here. http://aaronsmoma.blogspot.com/ Thanks for the chance to win some of your awesome goodies! I just found your blog! I will be back. I love your work! I’m adding your blog to mine. Here’s the link to mine. Hi! I just found your blog today thru Kelsy. I love finding new places to get ideas and I love your style! Gorgeous blog and products Sarah!! Hi there..I followed your blog from a cyber friends. Your site totally rocks. I’m sooo lovin’ those bunny clothespins..too cute. I will be adding you to my buddy list of blogs to visit. Thanks and congrats on the 10,0000 visits. Hope you stop by and drop me a line. hi sarah! congrats on the hits. i am sure, just like others, the sincere sharing of your every day life magnets readers to your blog. cheers to more hits and more lovely pages and cards.